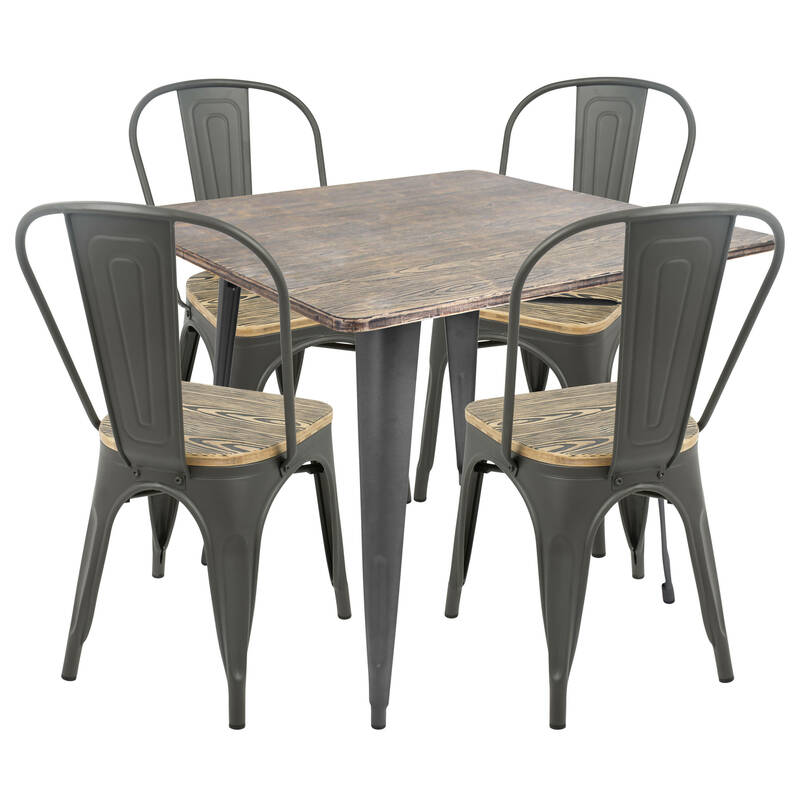 Antique-finished metal legs are juxtaposed with a wood-finished table top and seats to create the epitome of cool in this industrial-inspired dining solution. Available in a variety of finishes, choose the one that suits your space best. 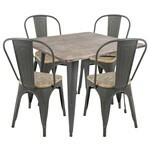 Includes four chairs and one table.